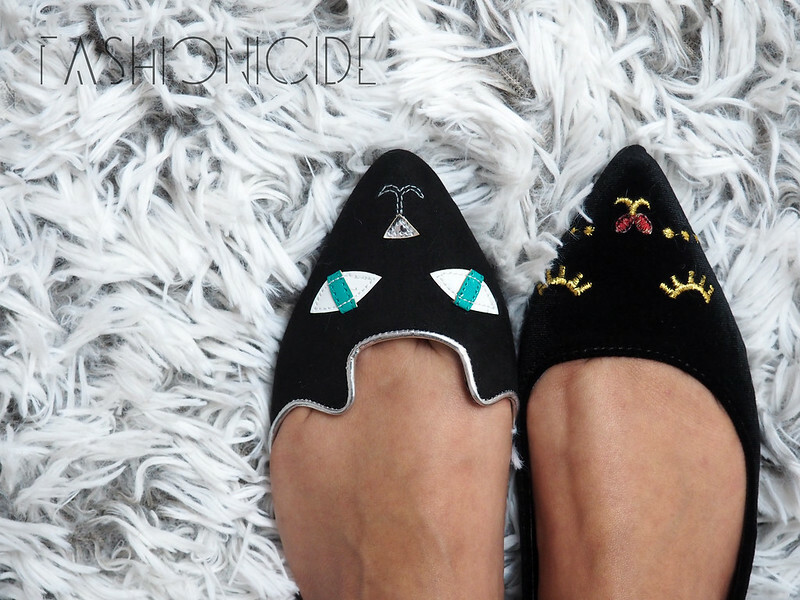 ASOS Cat & Mouse Flats - Size Does Matter! It was at my work's Christmas do, when I spotted that one of my colleagues was wearing the most gorgeous pair of shoes. They were the Incense Melissa Cat heels: a simple black court style shoe with outrageously high heels and metal cat ears - simply divine! After bowing down to her superior ability to walk in heels of such towering height, and being genuinely captivated by them, she started telling me about her vast collection of weird and wonderful shoes. I'm thinking that I'll have to pay her wardrobe a visit and cry over such a gathering of unique footwear. Anyway, it was this which prompted me to get a hold of myself and scour the internet in search of a pair of feline-related shoes I could call my own. This task was not as easy as it sounds, given that I'm a size 3 (or 2 in ASOS world) and that I kind of dislike wearing heels, but ASOS did present me with the answer - the Lexi Ballet Flats! Not only did they have the cute kitty design stitching, but they were also pointed! There's nothing I dislike more than rounded shoes. 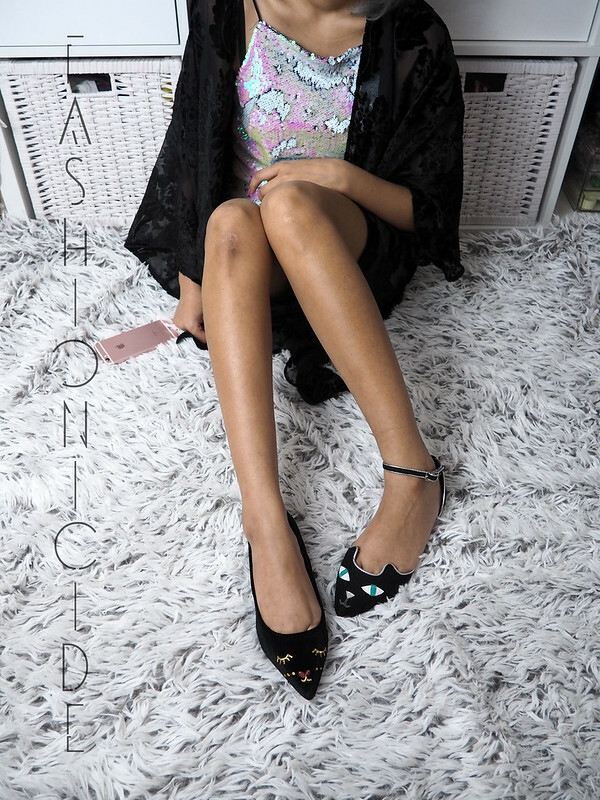 But ASOS served me up a little treat too, because not only did they have the feline shoes I so desired, oh no, they also had a pair called Lucky Mouse Face Pointed Ballet Flats. The name says it all really, but just to clarify, they're a pair of pointed ballet flats with the face of a mouse on them! And since I was already buying a pair of cat flats, it made perfect sense to get some mice ones for them to chase! Also, I actually like to wear flats that don't necessarily match, and by that I mean if I have two pairs of identical flats, differing only in their colour, at the weekends I'll sometimes wear one of each - you should try it, it's not as strange as it sounds and it actually looks pretty good. So, my thoughts with the Cat and Mouse flats were to wear one of each. "When buying shoes from ASOS, always buy a size lower!" I would love to try one of these. Looks nice. they look super cute tho :3 also love the combination! these are SO cute. I need these.